Rediff.com » Movies » Ready for Alicia Vikander's Tomb Raider? 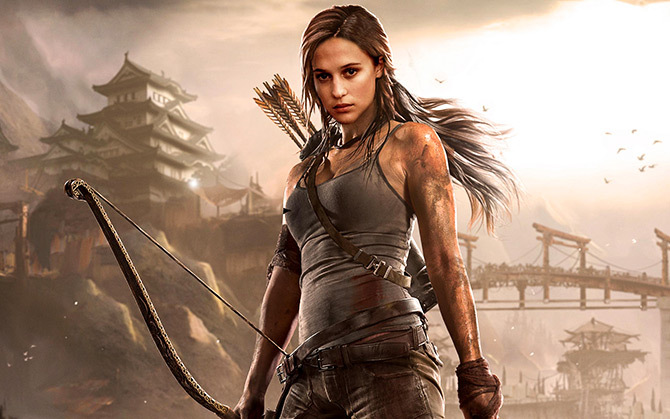 Ready for Alicia Vikander's Tomb Raider? Saibal Chatterjee picks some amazing Indian and Hollywood movies coming up in 2018. IMAGE: Alicia Vikander in Tomb Raider. Up ahead is a veritable blockbuster glut. But that isn't good news. Inherent in such overkill is the risk of a blowout. Hollywood and Bollywood have both lined up a flurry of top-heavy releases for 2018. Hollywood's summer will kick off in March with a reboot of Tomb Raider, top-lined by Alicia Vikander. It will be followed by upwards of 40 more tent-pole releases all the way up to Christmas. Among them are Steven Spielberg's sci-fi adventure Ready Player One and a host of superhero and action films: Avengers: Infinity War, X-Men: The New Mutants, Deadpool: The Second Coming sequel, Ant-Man and the Wasp, Mission Impossible 6 and Ron Howard's Solo: A Star Wars Story. IMAGE: Diana Penty in Parmanu..
Bollywood, on its part, will unleash the likes of Neeraj Pandey's Aiyaary, Abhishek Sharma's Parmanu, Tarun Mansukhani's Drive, Rajkumar Hirani's Sanju, Atul Manjrekar's Fanne Khan, Indra Kumar's Total Dhamaal, Remo D'Souza's Race 3, Vijay Krishna Acharya's Thugs of Hindostan, and, of course, Aanand L Rai's Zero that has Shah Rukh Khan playing a dwarf. These titles will obviously have no difficulty in finding takers, at least on their opening weekends, but true-blue cineastes will seek out the little gems that will come in from the cold and light up the cinematic sky. That is where we will find genuine and lasting stimulation. IMAGE: Zoya Hussain and Vineet Kumar Singh in Mukkabaaz. Anurag Kashyap's Mukkabaaz, in which the under-rated Vineet Kumar Singh gets his first shot at a full-fledged lead role, is definitely not to be missed. The actor, who has also scripted the film, goes all guns blazing. The power of Mukkabaaz stems from its probing of India's creaking small-town sporting infrastructure as well as its Dalit subtext and its sly take on cow vigilantism. Yes, the film's villain, played with aplomb by Jimmy Shergill, is a patron of gau rakshaks. Among other films that are be easy to recommend on account of their obvious promise is Meghna Gulzar's Raazi, about a Kashmiri girl who, during the 1971 war, marries a Pakistani officer in order to spy for Indian intelligence agencies. Alia Bhatt and Vicky Kaushal play the leads. 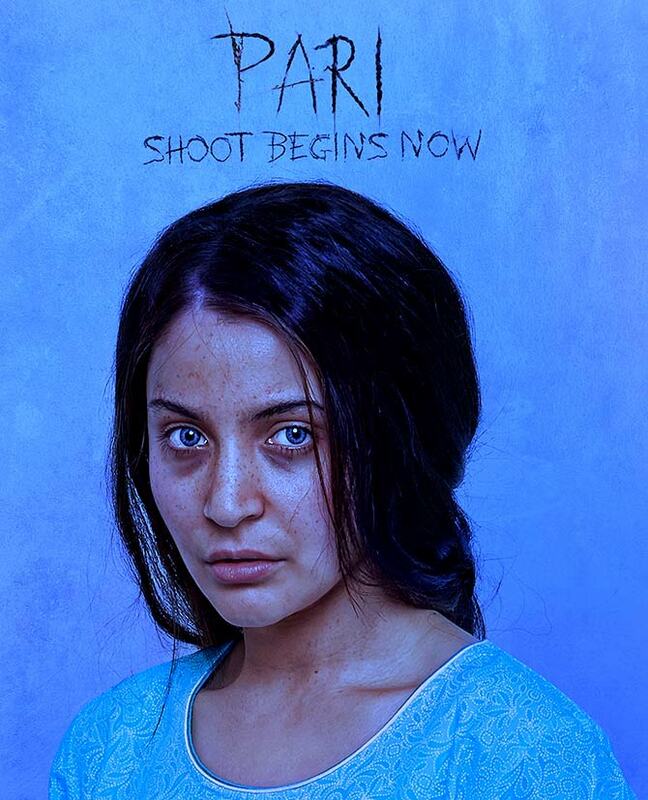 IMAGE: Anushka Sharma in Pari. That apart, there is Anushka Sharma's home production, Pari, directed by debutant Prosit Roy; Zoya Akhtar's Gully Boy, an Excel Entertainment film set in the Mumbai underground hip-hop scene; Nandita Das's Manto and Reema Kagti's Gold a sports film about the hockey team that won independent India's first Olympic gold medal in 1948. The Kangana Ranaut-starrer Manikarnika: The Queen of Jhansi has the makings of another feather in the cap of the Mumbai movie industry's growing woman power. Also, keep an eye out for Leena Yadav's Rajma Chawal, a generation-gap drama set in Delhi, and the Rani Mukerji comeback vehicle Hichki. 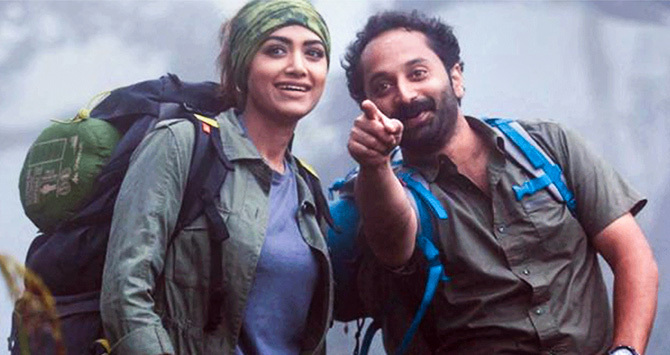 IMAGE: Mamta Mohandas and Fahadh Faasil in Carbon. In Kerala, Sanal Kumar Sasidharan will wrap up his fourth film, Unmadiyude Maranam (Death of the Insane) even as his provocative S Durga continues to be in the news and on the festival rounds. Cinematographer Venu's third directorial venture, Carbon, is set for a January third-week release. Carbon, starring Fahadh Faasil and Mamta Mohandas, marks composer Vishal Bhardwaj's return to Malayalam cinema after a couple of decades. The last time the Mumbai director-composer worked in Kerala was in 1998, in Venu's maiden film Daya. 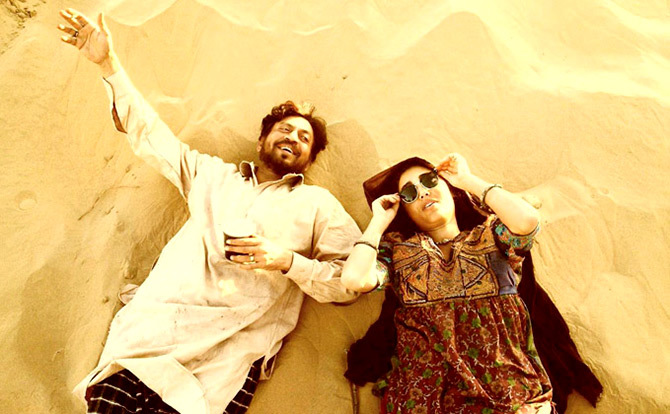 IMAGE: Irrfan Khan and Golshifteh Farahani in The Song of Scorpions. If all goes well, Anup Singh's The Song of Scorpions, featuring Irrfan Khan, Golshifteh Farahani and Waheeda Rehman in a saga of obsession, betrayal and vengeance set in the sand dunes of Rajasthan, will light up multiplex screens sometime in 2018. If there is only a handful of films you have time for during the year, make sure this is one of them. In Bengal, veteran writer-director Buddhadeb Dasgupta will unveil his first Indo-Bangladeshi co-production Uro Jahaj (Aeroplane), starring Chandan Roy Sanyal and Parno Mitra. Dasgupta is a poet. Lyricism seeps naturally into his films. His latest, the story of a car mechanic whose aspirations put him on a collision course with the authorities, is expected to be no different. IMAGE: Sandra Bullock, Cate Blanchett, Rihanna, Mindy Kaling, Awkwafina, Sarah Paulson, Helena Bonham Carter, Anne Hathaway in Ocean's 8. 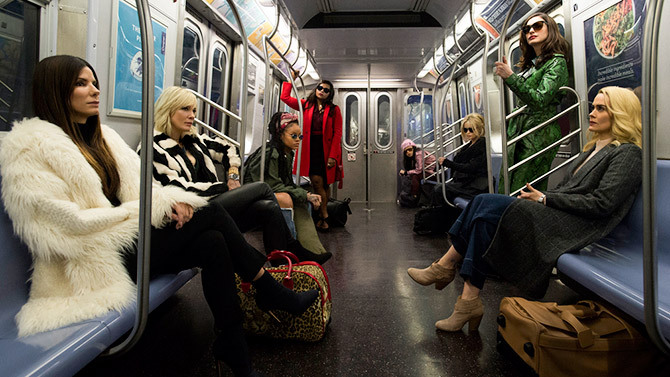 One Hollywood film to watch out for is Ocean's 8, an all-female spinoff of the Ocean's Eleven trilogy in which a band of badass girls go hell for leather in an attempt to pull off a daring heist at New York's Met Gala. Gary Ross (director of the first Hunger Games film) helms the project which features Sandra Bullock as Debbie Ocean, Danny Ocean's estranged sister, alongside Cate Blanchett, Anne Hathaway, Mindy Kaling, Sarah Paulson, Rihanna, Helena Bonham Carter and Awkwafina. Isle of Dogs, Wes Anderson's second stop-motion animated film (after Fantastic Mr Fox), which will kick off the 68th Berlin Film Festival in February, is bound to leave deep footprints on its way to awards season buzz. Set in a dystopian future, it is about dogs that are banished from a Japanese city to a squalid island in the wake of a canine flu epidemic. The outcasts receive a lifeline when a 12-year-old boy arrives in their midst to look for his pet. IMAGE: Rooney Mara in and as Mary Magdalene. Also worth waiting for are Steven Soderbergh's horror-thriller Unsane, which the director shot on his iPhone; Richard Linklater's drama Where'd You Go, Bernadette, starring Cate Blanchett and Kristin Wiig; Garth Davis' Biblical epic Mary Magdalene with Rooney Mara in the title role and Joaquin Phoenix as Jesus Christ; Gus Van Sant's Don't Worry, He Won't Get Far on Foot, about cartoonist John Callahan who turned to drawing as a form of therapy after a car accident left him paralysed; and The Favourite, Greek director Yorgos Lanthimos's third English-language film (after The Lobster and The Killing of a Sacred Deer) set in the court of Queen Anne in early 18th century England. It would be interesting to watch how the English-language debuts of cult French director Leos Carax and prolific Quebecois auteur Xavier Dolan fare. The former is ready with Annette, a musical starring Adam Driver and Michelle Williams and studded with original songs composed by Sparks, the art-rock band founded in 1971 by Ron and Russell Mael. Dolan, who at age 28 has six acclaimed features behind him, is in the 2018 mix with his seventh film, The Death and Life John F Donovan. 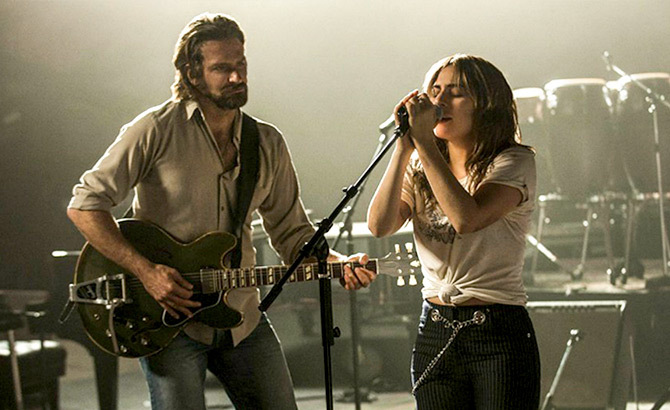 IMAGE: Bradley Cooper and Lady Gaga in A Star is Born. Two titles that film lovers who are equally into music should be excited about are the umpteenth remake of A Star is Born, starring Bradley Cooper and Lady Gaga (using her real name Stefani Germanotta) and directed by Cooper himself; and Bohemian Rhapsody, the Freddie Mercury biopic in which Egyptian-American actor Rami Malek plays the Queen frontman. Big little films are always the real deal.